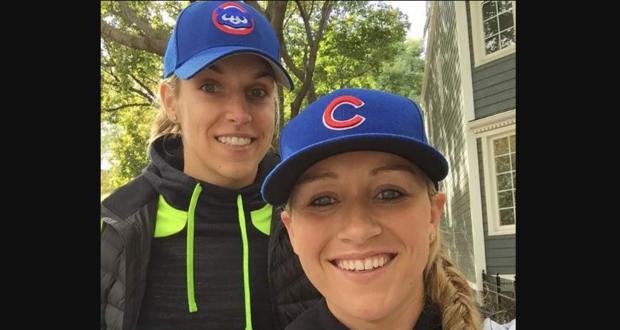 CHICAGO — WNBA player Elena Delle Donne's fiance proposed to the basketball superstar on a dog beach in Chicago, with a little help from their dog, Wrigley. Delle Donne, who now plays for the Washington Mystics after breaking in with the Chicago Sky, is marrying Amanda Clifton on Nov. 3. The nuptials of the couple is being chronicled by The Knot, a wedding planner. Wrigley, a Great Dane, helped Clifton propose to Delle Donne in 2016 on the unidentified dog beach by carrying a ring over to her on his collar. "Elena was not at all expecting my proposal, which is exactly what I wanted and why I asked her when I did," Clifton says on the Knot site. "Yes, we had talked about getting engaged and our future, but she had no idea I was going to ask her that day in Chicago. She was so surprised in fact that she thought it was a joke!" 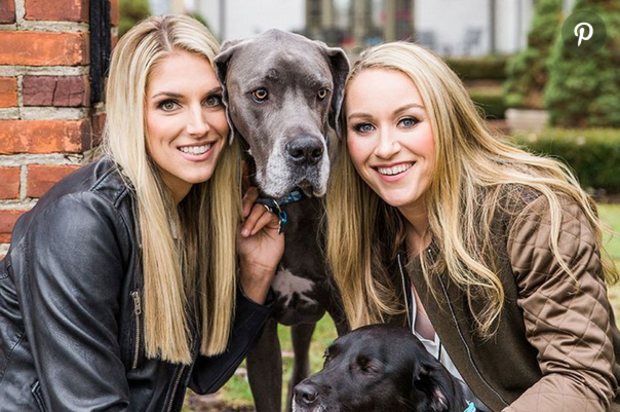 Elena Delle Donne and Amanda Clifton with their dogs, Wrigley and Rasta. Delle Donne proposed a few weeks later at their Chicago apartment, dressing their other dog, Rasta, a labrador, in a wedding dress. Clifton, who played collegiate basketball at Illinois State University, met when she was hired to run Delle Donne's basketball academy in Chicago. The couple will be wed in Long Island, according to the Associated Press.